Cuts copper, brass, aluminium and light gauge steel. Monument Pipe Cutter 4-28mm is rated 4.6 out of 5 by 8. Rated 5 out of 5 by Trev85 from Great little tool I bought this as I was fitting a couple of cast iron radiators in place of some old steel ones. 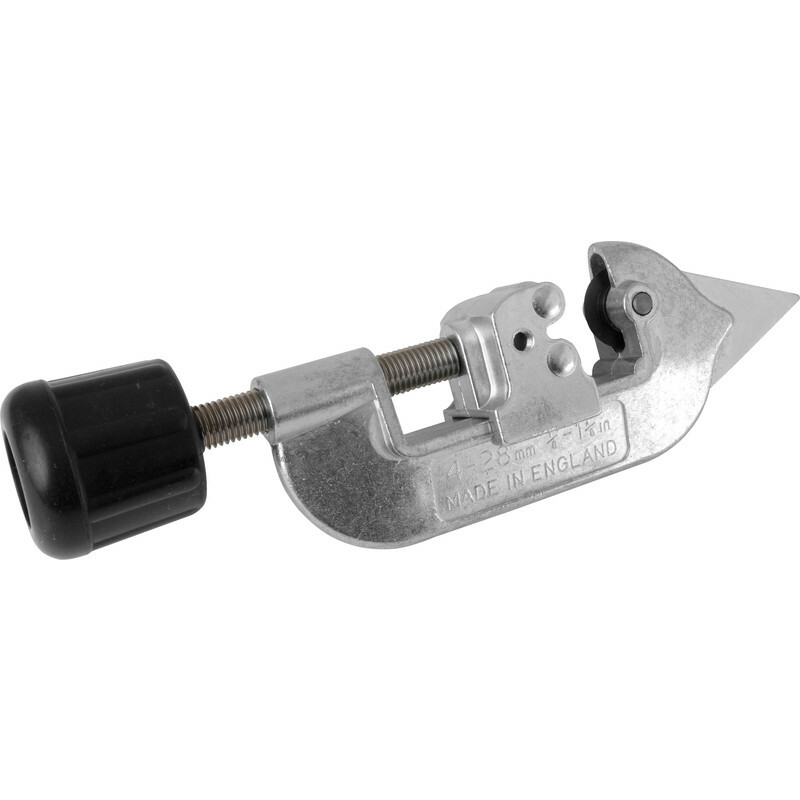 The pipe cutter works smoothly and cleanly on different size pipes. Good price and handy little tool. Rated 5 out of 5 by SharkyBoy from The one pipe cutter that everyone must have! I've got all sorts of cutters, for all sorts of situations, but this is the one I use 90% of the time. So quick and easy to use. If you give a good turn down on the handle on each turn you can get a nice inwardly-rounded end, which is great for push-fit fittings. You've always got a spare cutter in the handle, but I think I've changed my blade once over the year. Only bought a new one as mine went "walkies"! Rated 5 out of 5 by Loppylugs from As described Works well on copper pipe. Easy to be use. Rated 5 out of 5 by Retep from Does the job. Bought this product and was happy with it, did just what I wanted.